Get Wild In The Parks This Summer! Each July, the National Recreation and Park Association invites park and recreation agencies from across the country to join them in celebrating Park and Recreation Month. 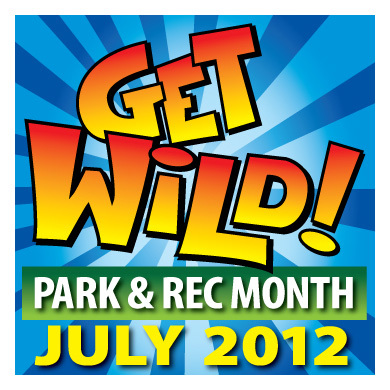 In support of this year’s theme, GET WILD, we will share our ideas for ways you can get wild in the parks this summer. Throughout the month, you’ll find new ideas posted on Facebook, Twitter, and on this blog, and we hope that you will share your ideas with us, too. From sending your child to summer camp during Wild About Water Week to taking a wild ride down the twin waterslides at the Water Mine Family Swimmin’ Hole, there are many ways to get wild in the parks. For thrill-seeking naturalists, the new Extreme Adventures program at Ellanor C. Lawrence Park is your chance to explore the park’s wild outback for stream monsters such as Hellgrammites, water scorpions, and water snakes, as well as poisonous plants and lethal predators in the forest. An elephant from the Reston Zoo bathed in Lake Fairfax in 1986. 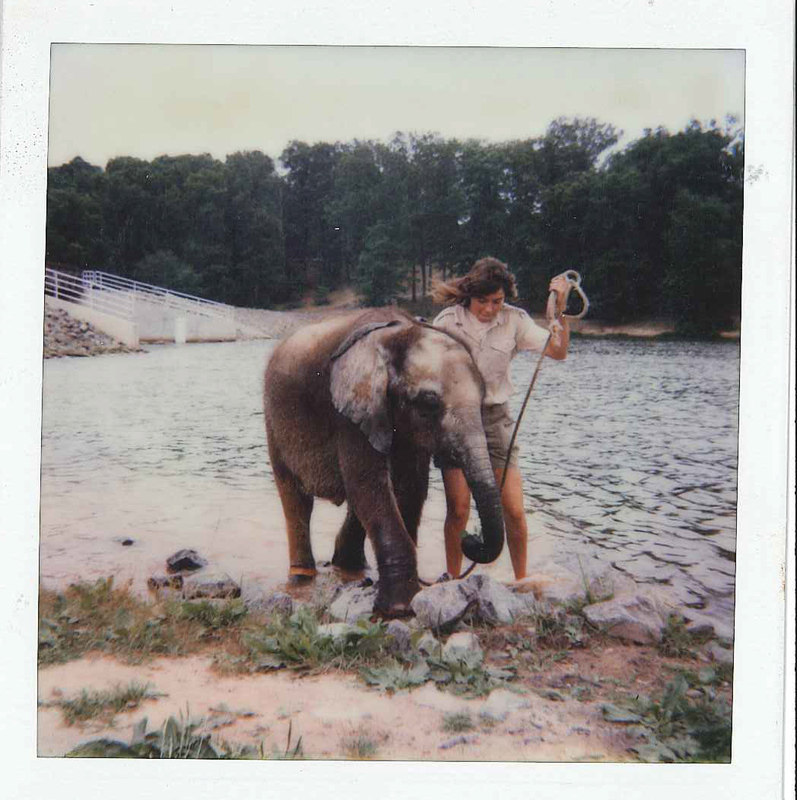 Speaking of wild animal sightings, did you know that elephants from the Reston Zoo used to cool off in Lake Fairfax, or that black bears have been seen in Riverbend Park? While not quite as wild as elephant and bear sightings, keep an eye out for photos of Buddy the Wolf, Rec-PAC’s wild mascot, as he visits camp sites with his anti-bullying message. Getting wild can be joining a fast-paced Zumba class at a RECenter, hiking the Cross-County Trail, or riding the mountain bike trails at Laurel Hill. To get wild on the water, head to Riverbend Park or our lakefront parks to launch a kayak, canoe, or paddle boat. Getting wild doesn’t always require working up a sweat. Take a stroll along the newly refurbished boardwalk at Huntley Meadows Park to look for an amazing array of dragonflies, or wander the manicured paths at Green Spring Gardens to see what’s in bloom. If music drives you wild, find your favorite venue to enjoy free concerts from our Summer Entertainment Series. The point is to get off the couch, get out of the office, and get wild in Fairfax County parks. It’s summer, so make the most of it! Written by Matthew Kaiser, deputy public information officer. This entry was posted in Uncategorized and tagged Camps, Cross County Trail, Elanor C. Lawrence Park, Get Wild, Green Spring Gardens, Huntley Meadows, Lake Fairfax, Laurel Hill, National Recreation and Park Association, NRPA, Park & Rec Month, Rec-PAC, Reston Zoo, Riverbend Park, Summer Entertainment Series, Water Mine, Zumba on July 2, 2012 by Fairfax County Park Authority.